The founder of Endure Survival shares the essential items he thinks you should carry with you on every wilderness outing. If there’s one thing you should be able to rely on in the wilderness, it’s your survival kit. Proper gear can save your life if you become lost, injured, or cold (or all three). But Nick Clement, founder of Endure Survival, believes most adventurers are ill-equipped to handle emergency situations. Clement launched Endure Survival in January to provide outdoorspeople reliable and up-to-date survival gear. 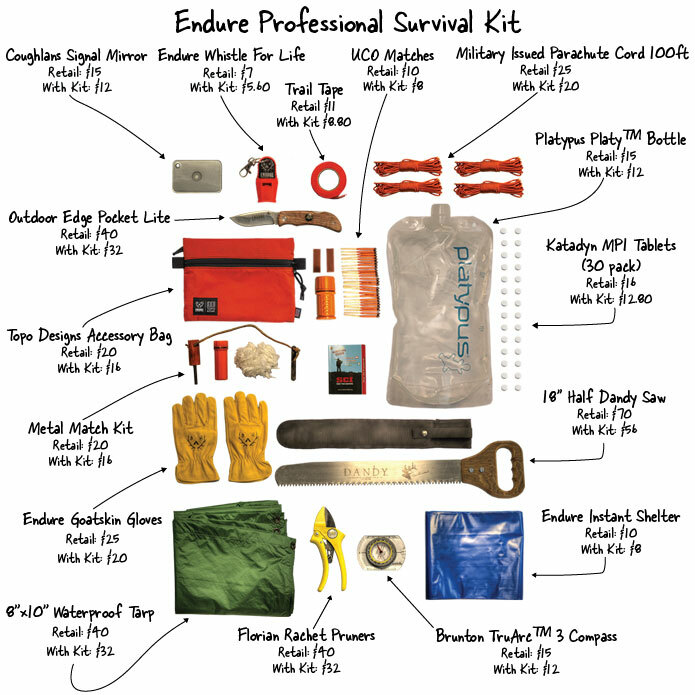 Endure Survival sells survival kits, ranging from basic ($120) to professional ($355), and individual pieces of field-tested safety gear. While filming an outdoor survival guide for Colorado Parks & Wildlife with wilderness safety expert Peter Kummerfeldt, Clement learned that most outdoorspeople relied on what he views as outdated and inferior gear. Clement’s background is with Colorado Parks & Wildlife. With years of wilderness experience, Clement performed in-field testing, research, and survival instruction to craft perfect kits. “The fact that search-and-rescue incidents are occurring now more than ever, yet there is still equipment being sold by the thousands that simply doesn’t work, is downright scary,” Clement said. 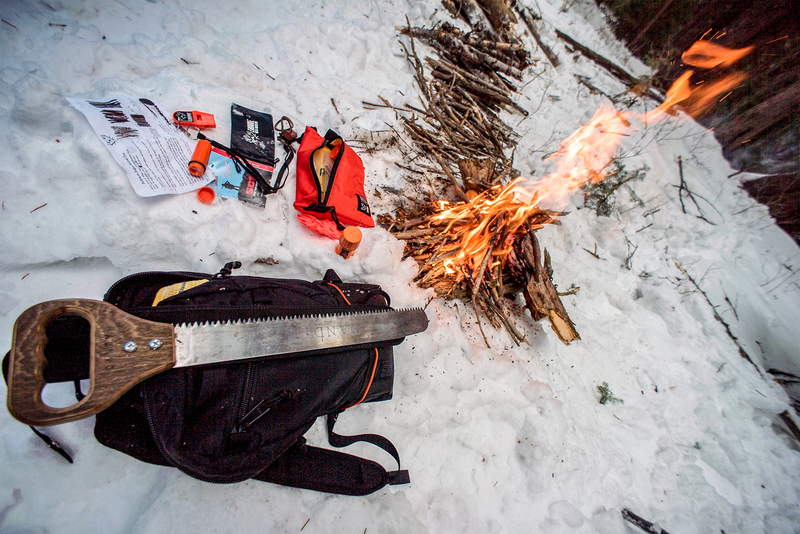 It’s worth noting opinions vary about what to carry in your survival kit. Check out another article with survival gear recommendations from three other experts. We asked Clement about what gear we should ditch — and what we should be carrying with us into the wilderness instead. Leave the lighters, strike-anywhere matches, flint, and steel at home, Clement says. He says Bic lighters are likely to fail at higher elevations, and those matches can be difficult to light, particularly if your hands are freezing. Instead, Endure’s packs come with a metal match kit. This includes a ferro rod, scraper, and cotton balls soaked in petroleum jelly. Clement says the combination is the “single most useful thing” adventurers can carry. The jelly weighs down the cotton balls, whose long fibers allow a lot of air to move through. And the ferrocerium rod’s wood handle can be scraped for backup tinder. It’s lightweight and makes fire-starting possible even in a downpour. 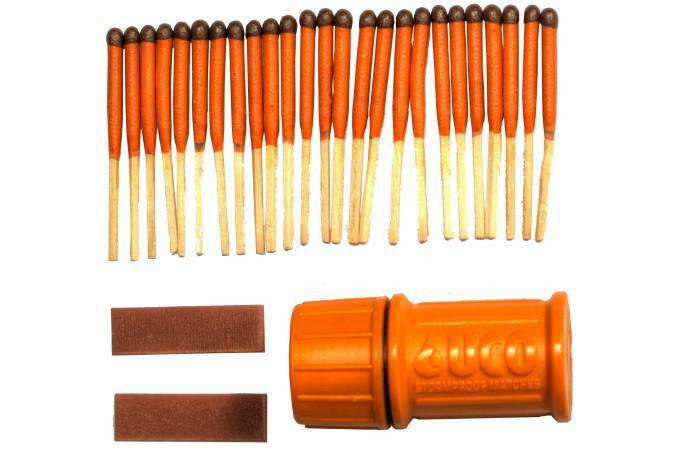 Your second-best option: stormproof matches, pictured below. Mylar emergency blankets are survival kit go-tos for many — but not Clement. “These blankets are not worth the few dollars you pay for them, as they rip easily. You have to hold them around you, forcing you to forgo the use of your hands as well as your feet. They do not trap heat around your body effectively, and they leave your head exposed,” he says. A better option, according to Clement, is the Endure Instant Shelter. The 4-mil bag surrounds your whole body, confining the heat (there are instructions for cutting a hole for your face to reduce condensation). It’s also waterproof, and its blue color is an effective visual signal for search-and-rescue crews. Bonus: Endure donates one instant shelter to the homeless for every one sold. 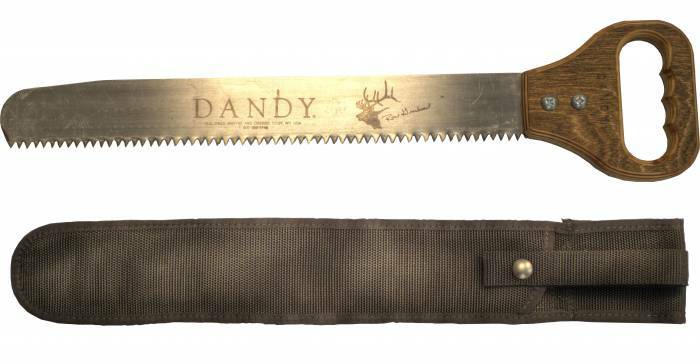 Which is why Endure backs the Dandy saw. Using it requires a more natural back-and-forth motion, and it extends the length of your arm, making it more efficient. It’s also more durable because it’s a fixed handle and saw, meaning there’s no folding necessary. “Anything with small parts or different parts is not going to be as reliable,” Clement says. The Dandy’s single-plank makes it less likely to break. Worst-case scenario: You find yourself in a life-threatening situation and need to draw the attention of rescuers. “If you’re lost in the middle of nowhere, you’ve got to think, ‘How is search-and-rescue going to find me?’” Clement says. One method is using a signal mirror, which, he says, 98 percent of people never carry. And those who do often pack mirrors made of plastic and metal, which don’t reflect nearly as well as glass. Endure kits include an easy-to-use Coghlan’s signal mirror made of tempered glass that incorporates a targeting system, making it observable from long distances. Another must-have, Clement says, is a Whistle for Life, the loudest emergency whistle on the market. The tri-power whistle has a hands-free mouth grip and can reach up to 120 decibels, making it louder — and therefore, more likely to be heard — than most other whistles. Everyone has a favorite water purifier — a tablet or system that results in not-too-terrible-tasting H2O. Clement’s advice is to carry Micropur MP1 tablets, the only publicly available EPA-registered water purification tablets. And he swears they produce a better taste than other tablet options. The only drawback: You have to wait four hours to ensure water is sterilized, so plan ahead.